What Do Israelis Think About the Country Decriminalizing Cannabis? "I hope this will free up the police's time so they can deal with other issues the country and our society is facing on a daily basis." Israel is one step closer to decriminalizing cannabis, as the country&apos;s cabinet recently approved a proposal that would replace criminal penalties with fines for people who are caught using marijuana in public. While many are still pushing for legalizing cannabis, this step is an important one for a country known for innovation when it comes to cannabis-related research and development. 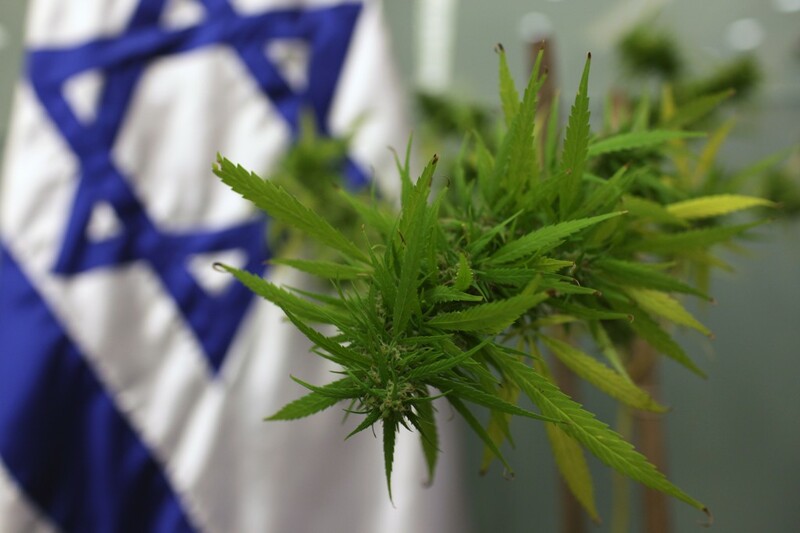 We checked in with a handful of Israelis, from cannabis activists to your average marijuana enthusiast, to see what they think about this recent change and how it might impact cannabis regulation, as well as public opinion, in the near future. “Decriminalizing cannabis in Israel is another step towards creating a Canna-Tech global industry, with Israel at the forefront. This step, although not legitimizing use, is due to reduce the negative perception of the plant as &apos;immoral or &apos;criminal,’ and also increase [the public’s knowledge] of its outstanding medicinal and wellness properties. "I think decriminalizing marijuana is a big step forward. Marijuana in Israel isn’t hard to find. Anyone at any age smokes it. People aren’t worried about smoking on the streets or out in public, so in that way I don’t think it will make a huge difference. The biggest change will be in how marijuana smokers are perceived, especially amongst older crowds. People used to think that smokers are junkies or addicts, and I think they are starting to realize that really it&apos;s no different from having a glass of beer or wine. People who use it medicinally or even recreationally won’t have to deal with the stigma that has been associated with marijuana for years. [In the past], people in Israel would get arrested for having weed or joints on them, which to me is so ridiculous that the police have to deal with pointless arrests and the court system has to go through all these petty cases. I hope this will free up their time to deal with other issues the country and our society is facing on a daily basis." "I think medical cannabis must be available, especially in Israel. The results of research shows that cannabis has healing properties across a wide range of diseases. Cannabis improves the quality of life for those who suffer from PTSD. Israel has a lot of soldiers and civilians who are suffering from PTSD and it is necessary to give them treatment [beyond] pharmacological methods, ones that are more effective and have much less side effects. Cannabis use also helps a lot in the process of weaning from bad habits. I think Israel and the world must make it accessible to everyone, as well as deepen developments and breakthroughs in the field." "People smoke weed for whatever reason. It feels good. It enhances creativity. It helps you sleep. Also, did I mention it feels good? Legal or not, [people do it]. Sure, the same is true for other drugs, but unlike other drugs, there are a number of proven health benefits for smoking weed and its so-called &apos;dangers&apos; have been disproven, or can be mitigated by making weed legal… which is why we should make it legal. From a law enforcement perspective, legalizing weed makes total sense. Our police have a lot to do, and legalizing weed frees them up to follow through on real complaints — domestic violence, for example — instead of tracking a bunch of stoners who just want to sit at home and eat pizza and watch South Park. Bottom line is this: I see no reason not to legalize it. Just like people learn how to drink responsibly, we will smoke responsibly — as we&apos;ve been doing for years with no real drama."